Wondering what’s been happening in the Vienna & Oakton real estate markets over the past week? Oakton inventory is right about what we saw in the May/June market. There are 84 homes for sale in Oakton today. Homes are moving a little slower there, but still moving at a good pace. Last week, 29% of the homes that went under contract sold in a week or less, and 43% sold in two weeks or less. Based on the past 30 days, there is exactly a 3 month supply of housing. Gorgeous Custom Home Just LIsted in Evermay! 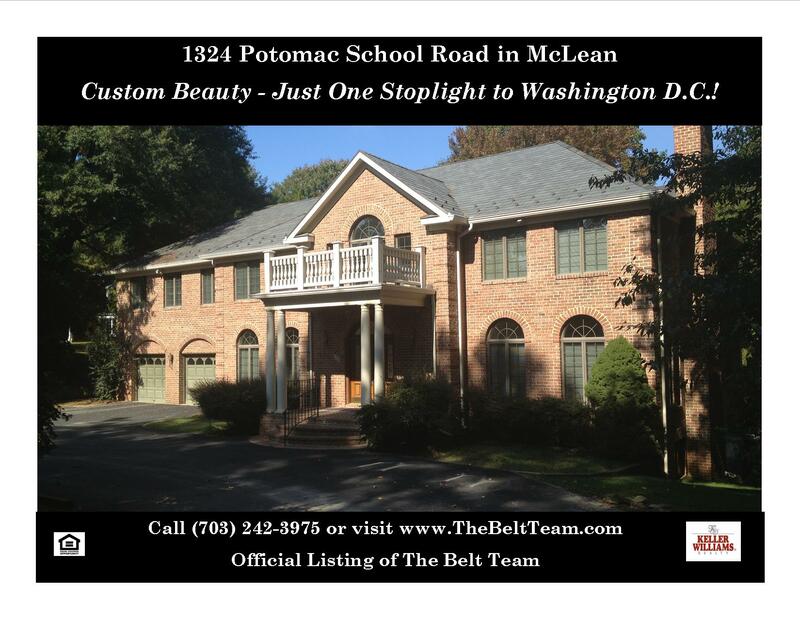 Welcome to this custom brick beauty just minutes to DC &Tysons, and superbly located adjacent to Potomac School. This one owner home has been cherished its entire existence. !incredibly well built with excellent craftsmanship and thoughtful design, it offers endless versatility for its new owners. Exceptional features include 7 bedrooms, 6 full/2half baths, 5 fireplaces, two-story entry foyer and family room. 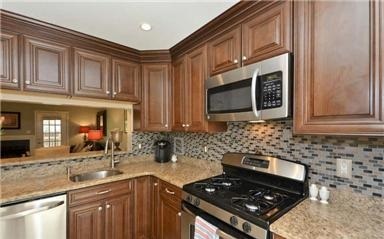 The impressive gourmet kitchen has 3 ovens, two 4 burner ranges with heat lamp & tray, 2 oven warmers, and 2 dishwashers. Spacious dining and living rooms, and an amazing garden level with lounge, game, billiard areas and more! Enjoy the natural setting on the expansive main level deck, sheltered brick patio or private upper level deck/balcony. If you’re wondering how much your Northern Virginia home is worth, you might want to try our new FREE Home Valuation Tool. And since we at The Belt Team pride ourselves on how we implement state-of-the-art technology to make our clients’ lives easier, it’s not like the others where you have to wait for someone to do a report. Nope – you get the info you’re looking for INSTANTLY! Click on the picture below. And if you’re looking to buy a home in Northern Virginia – whether it’s a luxury home in Vienna, a townhome in Fairfax or a condo in Reston – you’ll also love our state-of-the-art Homebuyer Real Estate Search Site. It’s FASTER and more UP-TO-DATE than other sites! Call (703) 242-3975 to schedule your Buyer or Seller Consultation. Our mission is “Changing Lives For The Better”. Is it time to change YOURS? 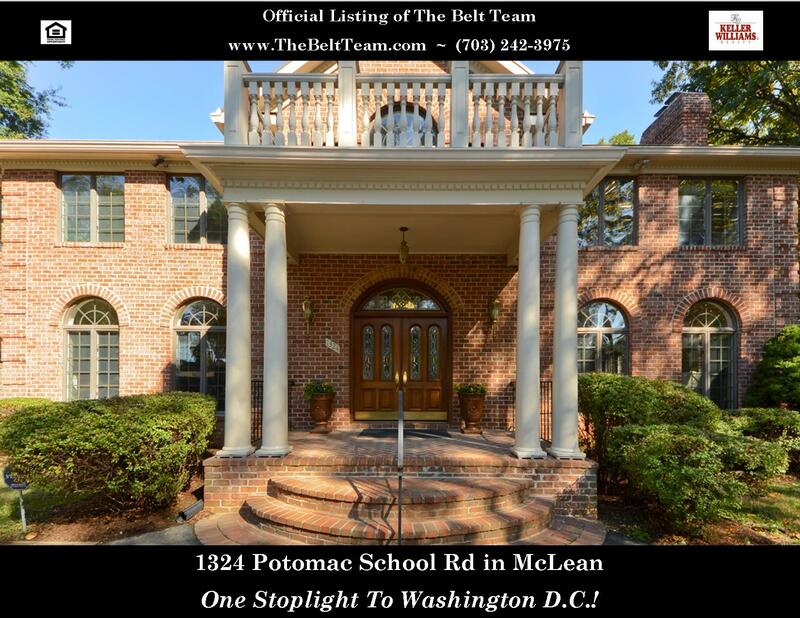 We have a fabulous new upper bracket listing coming soon in sought after Evermay – on Potomac School Road – just one stoplight to Washington D.C.! Percentage of Underwater Homes Drops Nationally – What About Northern VA? We recently attended a conference in Austin where national statistics were presented on the housing market. One of the pieces of good news that was presented was the fact that the percentage of homes that are underwater (ie – homeowners owe more than the homes are worth) has dropped significantly since last year. 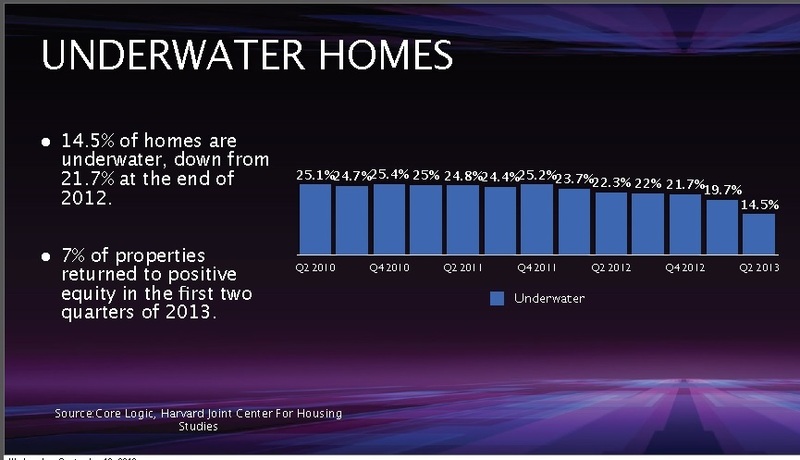 We closed 2012 with almost 22% of homes underwater across the United States. After the first two quarters of 2013, that number had dropped down to 14.5%. And 7% of properties returned to positive equity by mid-year. So – what’s happening in Northern VA? Northern VA has had less homes underwater than many places nationally, but we still have had our share. Well – prices are up, inventory is still fairly low, and interest rates are rising. This kind of makes for the Perfect Storm. Rising interest rates could hurt both buyers and sellers. When rates rise, buyers lose buying power. They can’t get as much for their money, it’s harder to qualify for loans and at some point – they drop out of the market. This means demand wanes. When demand wanes, and less buyers are in the market, Sellers have less leverage when selling. We’re starting to get a lot of calls from savvy homeowners in Northern Virginia who tried to sell (or wanted to sell, but didn’t even try) during the years 2007-2011. They have realized that in many cases, prices are up enough that they can make that next housing move – the one they thought they could make a few years back, but couldn’t. 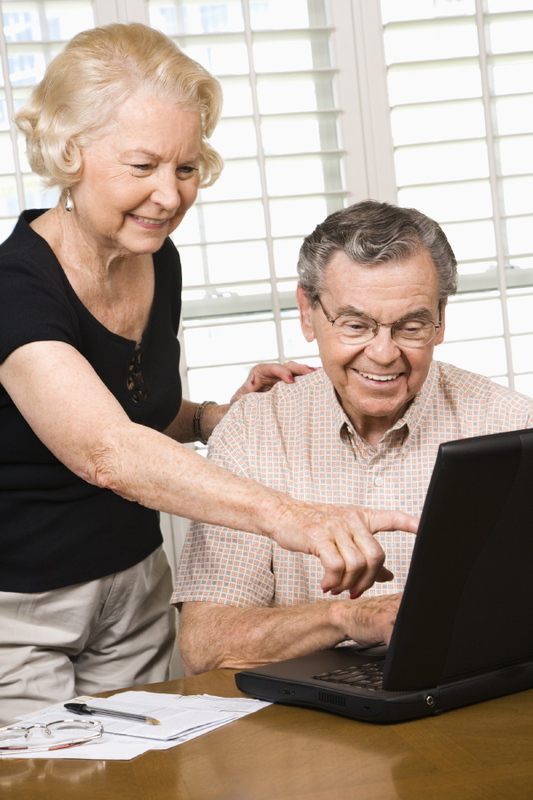 Some are seizing the opportunity to downsize. And some are making a much needed upward move to accommodate their growing families. They realize this just might be the time to put their toes back in the water to see if the numbers work – BEFORE interest rates rise so high that buyers for their home are priced out. Micro-markets in our area mean that this scenario may not apply to you. For example, there are some areas that are always in demand & insulated from outside market forces. And there are other markets – for example, the luxury market – where demand may not be as swift. If you’re wondering whether you can sell – NOW is the time to consult a Realtor and run the numbers. You may have missed the market last time, but don’t miss it this time. If you want to take a look at a general valuation of your home before your schedule a consultation – try out our new FREE HOME VALUATION TOOL. You’ll get an immediate online estimate. Our mission is “Changing Lives For The Better”. If it’s time to change yours, give us a call at (703) 242-3975. FREE REPORT – Immediate Results: What Is My Vienna Home Worth? FREE REPORT – Immediate Results: What Is My Oakton Home Worth? 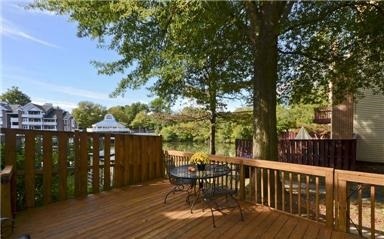 Have you been dreaming of a waterfront community lifestyle, but you live in Northern Virginia and you also want easy commuting? Well – stop by our open house this weekend at The Yacht Club at Sequoia Village. We have the perfect home for you! Directions: 495 to Rt 50 E (toward Arlington); Right onto Jaguar Tr; Immediate left onto Chrisland Cove – go thru the gate (Call 703-242-3975 for Gate Code); 7575 is on the right. When you see Realtors from the Keller Williams McLean office, they’re usually dressed professionally, with a phone to their ear, researching on their ipads or showing property to their clients. But recently, we caught a few of them hanging around in t-shirts & looking pretty messy. Why? They were volunteering their time with Rebuilding Together to restore & rehab a local home for a homeowner in need. You’ve probably heard of Habitat For Humanity. But you may not have heard of Rebuilding Together. Rebuilding Together’s vision is for a safe & healthy home for every person. And so they partner with local volunteers to make this happen home by home, block by block. Since they were founded in 1988, Rebuilding Together (along with 3.4 million volunteers) has completed work on more than 100,000 homes across the country. Well – at Keller Williams, our motto is “We Give Where We Live” and so a number of agents, including our own Belt Team Lead Buyer Specialist Tom Reilly, put on tshirts and got down & dirty to make a difference in one woman’s life. They painted, pulled brush, calked, installed safety bars and did all kinds of unglamorous, but much needed work for a wonderful woman in need. What was her favorite part? The safety bars! There’s a saying that is attributed to John K Kennedy: “One person can make a difference, and everyone should try.” I like to think he’d appreciate our Belt Team mission: “Changing Lives For The Better – One Family At A Time“. And I know a wonderful old lady in Falls Church who would agree that that is JUST what Keller Williams McLean did. 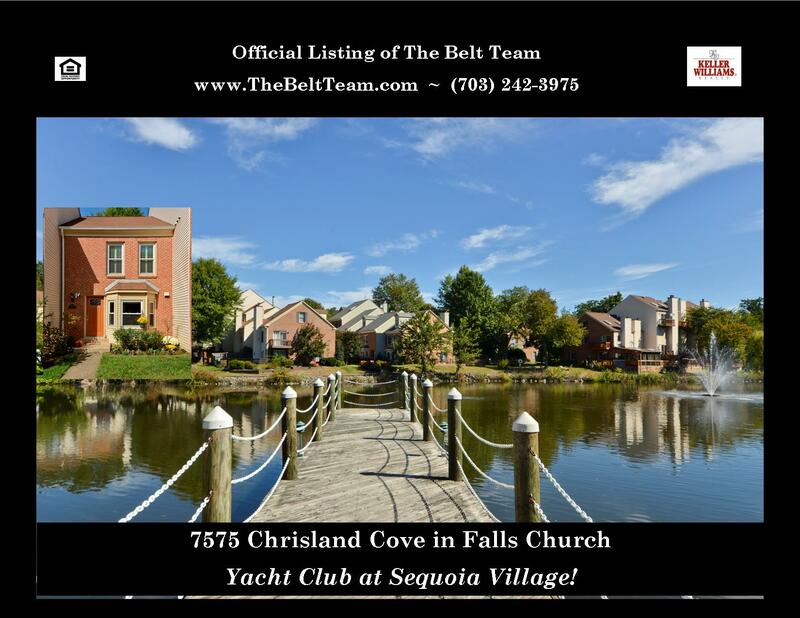 Just Listed – Townhouse at The Yacht Club at Sequoia Village! Directions: 495 to Rt 50 E (toward Arlington); Right onto Jaguar Tr; Immediate left onto Chrisland – through the gate (Call 703-242-3975 for Gate Code); 7575 is on the right.